LASIK, or laser-assisted in site keratomileusis, reshapes the cornea to help treat various eye problems. This is a pain-free process meant to improve vision and is a good alternative for patients who don’t want to use contact lenses or eyeglasses. Our optometrist can provide reliable and professional LASIK evaluations so you can see if you are a good candidate for this procedure. You will first need a baseline evaluation by your eye doctor to see if LASIK will work for you. If you wear contact lenses, switch to wearing glasses full-time before your evaluation. Allow your cornea to assume its natural shape before surgery. During the evaluation, tell your doctor about your past and present eye conditions and about any medication you are taking. Your doctor will perform an eye exam and discuss the risks, benefits and alternatives of the surgery and explain everything else you need to know. After your eye exam, you’ll start preparing for the surgery. Stop using lotions, makeup, perfumes and creams the day before the LASIK surgery. The surgery typically takes less than 30 minutes. The doctor will put a numbing drop in your eye and clean the area around it. They will then use either a mechanical microkeratome or laser to cut a flap in the cornea, fold it back on its hinge and dry the exposed tissue. They’ll use a laser to remove corneal tissue and then put the flap back in place. The doctor will place a shield over your eye for protection. Your eye may itch, burn, or feel like there is something in it after the procedure; however, it is very important that you don’t rub your eyes. The flap needs time to heal. You may also experience sensitivity to light or glare. Fortunately, these symptoms improve considerably within the first few days after surgery. Visit your eye doctor in the first 24 to 48 hours after surgery and at regular intervals after that for the first six months following the surgery. It may take up to three to six months for your vision to stabilize. In addition to providing LASIK evaluations, we can also offer high-quality eyeglasses and a wide variety of eye care services. 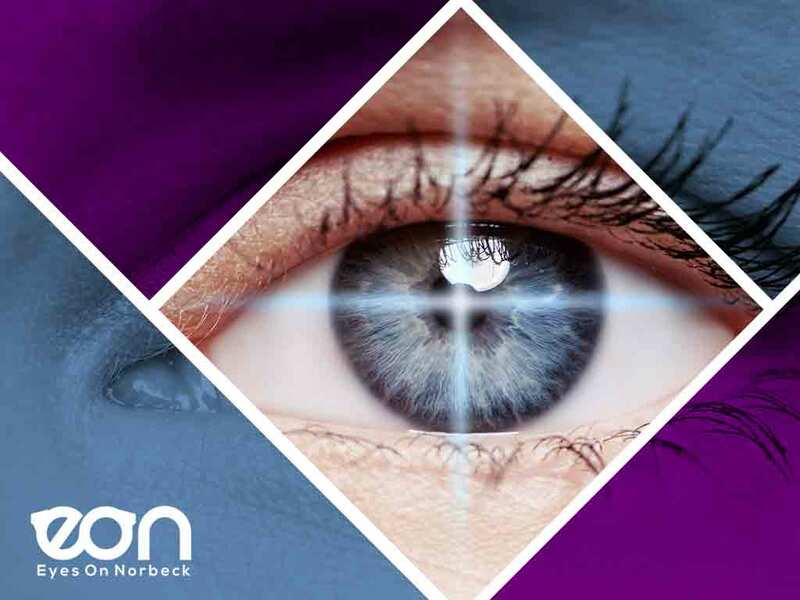 Eyes On Norbeck focuses on providing personalized vision care based on our patients’ unique visual needs. Call us at (301) 241-0553 to learn more about LASIK or to schedule an appointment. We serve Potomac, MD, and other areas.